A very nice action movie, I’ll be frank the story is as weak as Justin Bieber’s claim to being a man, but the movie has huge plus points that over shadow the week story, like the brilliant performances given by Denzel Washington and Ryan Reynolds, and some awesome, realistic fight scenes are the highlight of this movie. 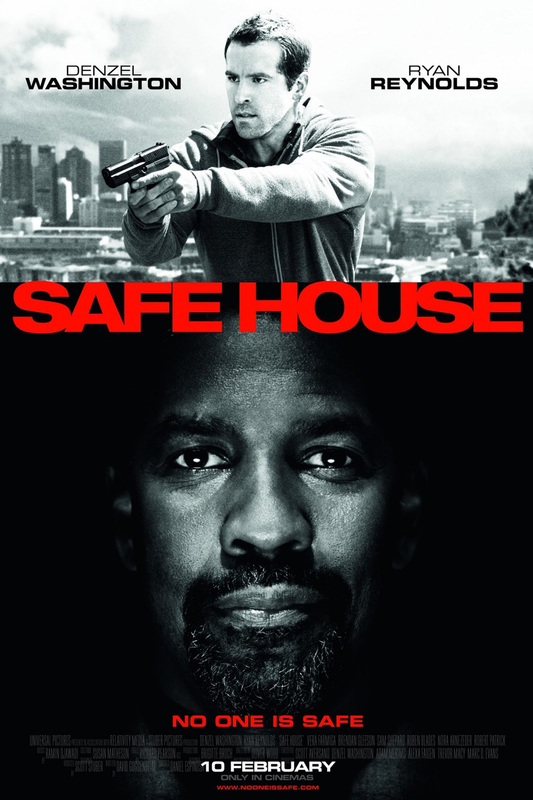 The story is pretty simple, Tobin Frost (Denzel Washington) is an ex CIA agent who has some information that everybody wants. He is chased by some hired hands who are trying to get that information from him, finally he surrenders himself to the CIA. Now the story begins. Frost is being transported to a "Safe House" where the "housekeeper" is Matt Weston (Ryan Reynolds) unfortunately for Matt the safe house is breached, guess it wasn't "safe" enough :D, anyways, now he has to take Tobin Frost and execute Plan B. Now Matt has to figure out how the safe house was breached? And who led the hired hands there? And on top of this he has to keep an eye on Tobin Frost. While reading the brief about the story you probably guessed how the story is going to be and you’re probably right, like I said the story is not that great, the main thing to focus on is the relationship between Tobin Frost and Matt Weston. How they see each other as untrustworthy and how they slowly begin to trust each other. They are very similar in character but the paths they have chosen are very different, for it is the choices we make that makes us. Till the end you won’t have a clear idea as to why and how a guy like Frost will turn against the CIA. 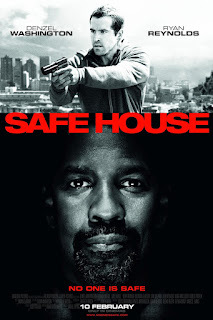 The performance given by Denzel is amazing especially during the last 15 minutes of the movie, and you have to give it up to Ryan Reynolds, he has done a good job. The movie depicts a man’s journey, during which there is a time where his belief system falls apart and he has to make a decision, Tobin Frost made his choice and now he tries to guide Matt Weston to make the right one, will he do it? You have to watch and see. It’s the choices you make that make you who you are.